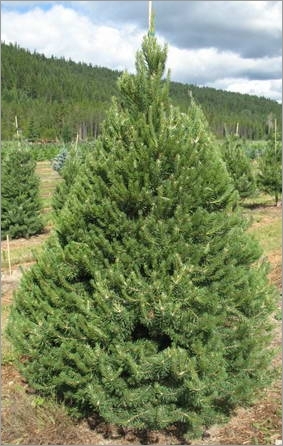 The pesudotsuga menziesii or more commonly known as Oregon pine or Douglas fir is found primarily in the western United States from California to Canada. The Oregon pine can reach a height of 50 meters in Europe, but requires light soil and moist and can live very long (400 years). This tree has leaves in monoecious needles and cones two centimeters may have 8 cm.